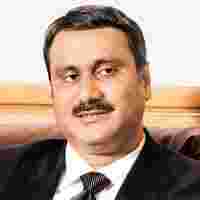 New Delhi: Union health minister Anbumani Ramadoss, a medical doctor, is the youngest member of the cabinet. His stint as minister has been eventful: he has tried to enforce a ban on smoking in movies and got into a spat with the director of the All India Institute of Medical Sciences (AIIMS). However, he has not had much luck steering through Parliament a crucial legislation against fake drugs, a big issue in the country. Through the year, Mint has been running a series of articles on larger issues related to regulating the drugs and health-care industry, including the pending legislation against fake drugs and the absence of legislation protecting human guinea pigs on whom clinical trials are carried out. Why didn’t you introduce the legislation on fake drugs in the monsoon session of Parliament? We couldn’t take the amendment on the legal and penal implications to the cabinet because of some legal issues. Now, within a week or two, it will go to the cabinet. In the winter session, we can expect it to get passed as it will be prioritized. We will have categories ‘A’, ‘B’ and ‘C’ (of legislations that need to be passed). This will be placed in category ‘A’. Of late, you have been talking about a national organ retrieval policy. What does this entail? We are focusing on cadaveric transplant, which involves brain stem-dead patients who are in coma and can’t be revived. If the relatives decide to put such patients down, their kidneys, lungs, liver, heart val-ves, bones can all be harvested. We are mulling free lifetime second-class rail passes and other incentives to close relatives of such donors. We are starting organ retrieval banking organization (Orbo) centres in eight or nine cities, including the metros. These centres will have grief counsellors. It will be mandated that every intensive care unit will have to inform these centres about brain stem-dead patients. The counsellors will talk to the relatives and convince them to help donate the organs of the patients. Nearly 160,000 people die of road traffic accidents every year, and nearly 100,000 go through these things. We will streamline live organ transplants and corneal transplants as well. We have a national Organ Transplant Act of 1994, which deals mainly with live organ transplants and needs to be amended to make donations foolproof and stop rackets in kidneys, etc. Could you tell us about your ministry’s upcoming emergency and trauma project? We have two proposals. One, a Rs1,000 crore project, to be launched in the next three-four months, involves building and upgrading trauma centres along the national highways, where every 5km there is going to be a telephone, every 50km an ambulance, every 100km a trauma centre, every 300km a specialty trauma centre and every 500km a super-specialty centre. The second involves replicating the Andhra Pradesh model, where Satyam Computers runs an emergency helpline, on a nationwide basis. There will be a single number for the entire country. We are going to sign a memorandum of understanding with the Emergency Management and Research Institute (Emri), which will run it while we will put money in the infrastructure. Each state will have a call centre, manned by 100 people and run by Satyam. As per the latest National Family Health Survey, malnutrition and anaemia have not been tackled. What are you doing about these issues? This survey was done in 2004 and 2005. The National Rural Health Mission (NRHM) was launched only in April 2005 and you will see the results a year or two later. This is the biggest programme undertaken in the country. When I took over, my ministry’s budget was Rs6,400 crore, which has grown to Rs15,800 crore. Of this, I have put Rs12,000 crore in just this programme. The NHRM aims to reduce infant mortality, maternal mortality, increase sanitation, increase drinking water. One way to reduce infant mortality is to increase immunization. There has been a surge of activity since April 2005 and, by 2008-end, I can show you wonderful results. I have hired nearly 2,000 chartered accountants, MBA graduates and IT (information technology) professionals at the district level to monitor the programme externally. There is a CA, an MBA and an IT professional in every district. They give me monthly inputs. The Auditors Guild of India is also monitoring the programme. Are there some concerns as well? Does the policy need some fine-tuning? Not the policy, only the intensity of the focus. Every month, the secretary reviews it. I review it every two months. Uttar Pradesh can do a lot more, as can Orissa and Bihar. Rajasthan is doing well because of the state government’s involvement. Tamil Nadu is the best state in terms of infrastructure; Kerala, in terms of health indices. We are giving mobile phones to auxiliary nurse midwives as part of the programme. We are also giving bicycles or transistors to the accredited social health activists in different states. The success of this programme lies in its flexibility. What are you doing to retain doctors in government hospitals? Unfortunately, we have a system where no doctor can get a higher salary than the cabinet secretary. One doctor in AIIMS, who was getting (a salary of) Rs40,000 a month, went to the private sector and got Rs5 crore a year. So we need to introduce incentives. I have been talking to the finance minister and the Prime Minister and recommending increasing the age of retirement, giving them (doctors) foreign allowance, library allowance.... I even feel government hospitals like AIIMS, Safdarjung could be used in the evening by the doctors on a 50:50 (revenue share) basis. We are trying to work out something. Given the state of our government hospitals, do you see a bigger role for the private sector? We are upgrading our infrastructure. In December, the construction of six AIIMS-type hospitals will start. But in India, 82% of the health-care infrastructure is in the private sector, unlike in the UK, for example, where 95% is with the public sector. So, we have no option but to use the services of private sector. In the NRHM, we are hiring services of private doctors on a case-by-case contractual basis. Many people would still remember your stint for your clash with the director of AIIMS. Couldn’t the controversy have been avoided? We are spending Rs500 crore every year on AIIMS. With Rs500 crore a year, I could start three medical colleges in remote parts of the country every year. The problem with AIIMS is that all the politicians go there and all doctors know all politicians. So these doctors don’t care. Did you feel let down when your cabinet colleagues didn’t back you (on passing the legislation to restrict the retirement age of AIIMS director, in order to remove Dr Venugopal)? Yes, I felt down. But it’s not to do with me. It’s to do with the government, the health ministry. Your detractors say you managed to get away with it only because of the compulsion of coalition politics. Otherwise, you embarrassed the Prime Minister so much that you would have lost your job. That’s rubbish. The Prime Minister is fully supporting this issue.